With all the Internet censorship going on out there by media tech giants, it has become increasingly difficult to spread information without the said information being deemed by some no name party out there as being "offensive". 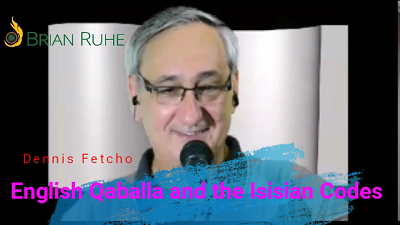 That scenario happened recently on a recent appearance on the Brian Ruhe Show where a discussion regarding the rudiments of Qaballa was placed into Youtube's new "restricted Googlag" in which something is deemed "inappropriate" or "offensive". We live in snowflake times. Still, here is a brief article to describe some of the concepts that you can find in the video, which appears at the bottom of this article. In seeking to deconstruct language as an esoteric construction, we have many avenues available to us. One method is "basic numerology". In these forms, letters are provided with numbers which are then added together, reduced to a single digit (reduced ordinal value) and assigned some "property" based on properties attached to number. Another is the use of rudimentary methods taken from various Qaballistic systems: namely, "gematria". In these methods, again, letters are provided with numerical values, totaled together, and any set of words that match the equivalent gematria value are (often) automatically assume to be identical in some esoteric form or manner. However useful some may find the above methods, they hardly scratch the surface relative to the sophistication and in depth understanding of language at a higher level. In order to access these higher levels, we again have more than a single avenue available to us. One method is through direct channel inquiry, which we might term as various forms of"shamanism". There are many nuances to this form of inquiry. "Extreme shamanism" we might equate to the deliberate use of natural or chemically derived substances intended to permit the inquirer to move into altered states from which hopes of a successful inquiry can be achieved. This form, obviously, should be tried only by those trained enough to the point that such an inquiry does not present the inquirer. 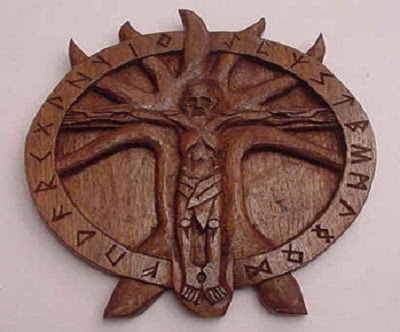 The Codex Runicus, written around 1300 AD, provides a rather detailed treatise on this form of inquiry, wherein Odin is said to have learned of the magical powers of the Runes (letters). Other forms of inquiry involve immersing oneself into the body of work preserved to us through various esoteric traditions. These traditions are indeed, very old, and material continues to be brought forward even to this day regarding these traditions and the knowledge contained within. This blog and the information contained within is just one such example. In this regard, immersing oneself into the massive body of material now available, the Inquirer should be reminded that "sources matter" and, as in any well done research, the Inquirer should seek out as many primary sources as possible. One of these primary sources is "the Sepher Yetzirah", also known as "the Book of Formation", which, undoubtedly, remains one of the primary Qaballistic treatises written. Am I saying that the Sepher Yetzirah is "absolute"? Of course not. It is often observed that Qaballistic treatises often include additional "mis-directions", "fluff" that embellishes or obfuscates the core Qaballistic treatise. Whether the misdirection/embellishment/obfuscation by the author is due to an honest (belief in the deception) or dishonest (willful intent to deceive) intent is not pertinent so long as one focuses on core structural knowledge of any given Qaballistic treatise. It is in this mindset that one should peer into available Qaballistic knowledge. I call this "Inquiry through Intelligence", a rational and reasoned Inquiry as defined within the Isisian Mystery Schools. For the Deity is not blessed by reason of his possession of gold and silver,3 nor strong because of thunder and lightning, but through knowledge and intelligence. 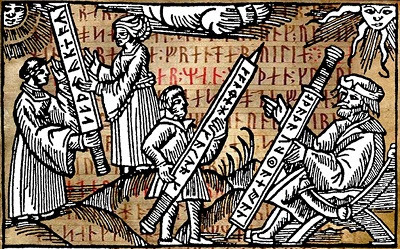 As a primary source document, few reach the importance of that of the Sepher Yetzirah. Its source remains largely a matter of historical debate, as are its origins. None of that is important so long as the Inquirer keeps in mind the matter of "misdirection/embellishment/obfuscation" inherent in all such documents. 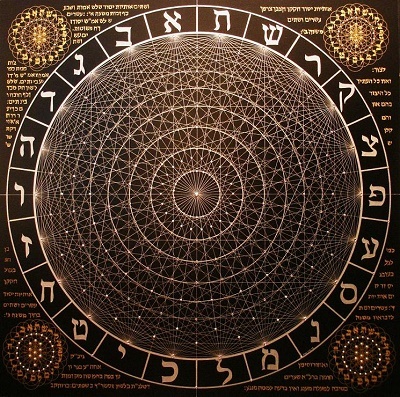 An analysis of the Sepher Yetzirah hints at two underlying concepts: a geometric matrix (consisting of 32 paths and means for its formation), and a parallel linguistic inquiry into the sounds human speech. The Sepher Yetzirah cannot be viewed as being "Universal" as some obscure tribes in Africa actually communicate through a complex set of "clicks", such as the Khoisan languages, while others, as Mandarin Chinese, use 4 tonal inflections plus a neutral tone of the same sound set, thus 5 words may be derived from the same phoneme. The Sepher Yetzirah appears to be speaking largely about Western languages, or perhaps any language that has a linear flow. Perhaps I am simply incapable of fully comprehending how the principles of the Sepher Yetzirah can be fully integrated into a language as Mandarin Chinese. 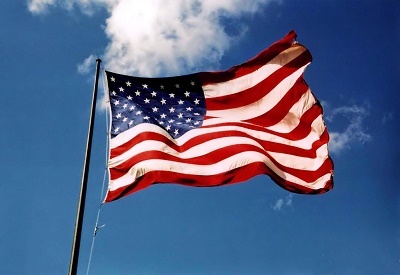 Then again, Mandarin Chinese is not my "mother tongue", and, like Hebrew, which isn't either, I can hardly be expected to grasp the inner nuances of the language as I could not even lay claim that I had any DNA connection to the language. Consequently, we are only qualified to speak of the Sepher Yetzirah through a Western construction. The sounds that make up a language are classified. The alphabet is the means through which the sounds may be formed. The individual letters are called "phones". 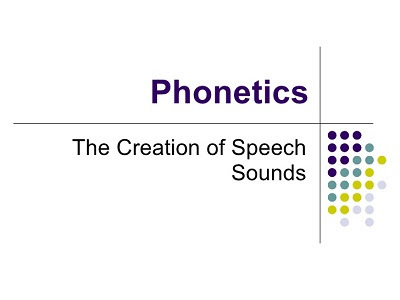 The smallest unit of distinctive sound is called a "phoneme". Hence, the L is a phone, but when placed in a word as "lip", being a distinctive unit of sound in a word, the "L" becomes a phoneme. The alphabet is comprised of "vowels" and "consonants", some of which are "aspirated", while others are "non-aspirated". Here we see the very rudiments of language being discussed, letters that are aspirated and non-aspirated (applied to consonants) and each of these being given esoteric significances modeled upon duality, such as "Peace and War", etc. Letters that are models of "hardness and softness" must of necessity be applied to articulated speech. Hence, the letter D, may have two forms: the word "drummed", for instance, reveals a soft "D", while the word "crushed", reveals a hard "D", which is also directly related to the Letter T, which is hard when saying "Time", but softens when saying "stay". The following interview on the Brian Ruhe Show discusses some these issues, and much more. The Fetch was recently on the Brian Ruhe Show to discuss Operational Kabballah and Jewish power. Djinn, dark magic, the Isisian Codes, and much more. We'll let the video speak for itself. This is the first video interview of "The Fetch" and, we might add, it had some moments certainly worth catching. Let us know what you think. More in the works in this genre of content. For instance, the word PROBLEM contains 2 syllables and 6 phonemes. The lower case letter P is represented as "p", which may be spun 180 degrees on axis to form the letter "d", while the Letter B, represented as the lower case letter "b", may be spun 180 degrees on axis to form the letter "q". In each case, the letter "d" may flipped 180 degrees to form the letter "b", while the letter "q" may be flipped 180 degrees to form the letter "p". Since letters are but representations of a more atomic level representation of the Alphabet, we note that the Letter's "P" and "B" are but "allophones". In the Sepher Yetzirah, or Book of Formation, we can add that the letters P and B represent "models of hardness and softness", in which the Letter P has a "hard sound" and the Letter B has a "soft sound". All of this hints at "conceptuals" within the Alphabet. Since we know that the Letter B is feminine (Isis pregnant with Horus), we can then show that the lower case, when spun 180 degrees on access, forming thus the Letter "q", we can show a link between the Letter Q as "the fertilized egg", and the Letter B, which then carries this fertilized egg to fruition, resulting in a BRth. 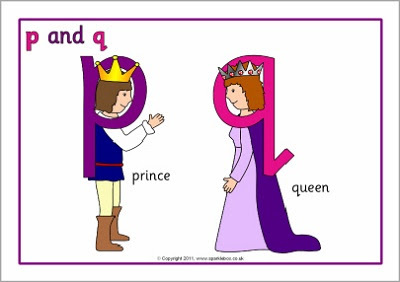 Further, since the Letter "b", spun 180 degrees to form "q", and then flipped 180 degrees to form "p" - mirror opposites, we can show that "pq" represent 180 degree opposites in that "p" is masculine and "q" is feminine. 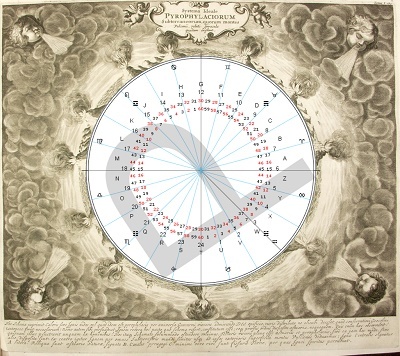 The Alphabet contains within itself numerous "cipher wheels". Words derived from these cipher wheels may be representative of designs within the conceptual fabrication of the Alphabet. The word STOP is a very clear representation of this idea. The word STOP represents two linear segments of the Alphabet; i.e., ...QR-ST-... and ...MN-OP...". You can then break out the word STOP to form S-TOP. A TOP is an object, often in the form of a children's toy, that spins on its axis. As the inertia slows down, the top begins to wobble ever more pronounced until the top "falls". The "top" is also the "upper most limit", which is to say that what is "on top" has no higher competitor. 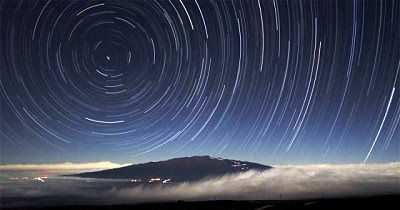 Here we find that the night sky as viewed over time represents that of a top that is spinning. 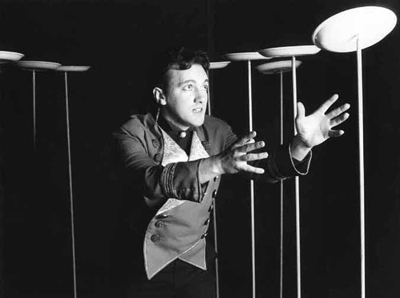 In this case, the night sky appears more as a plate spinning on a stick as viewed from below, but in either case, whether it is the "top" spinning on its axis, in which the night sky would caste virtually by design, or if you were to view the night sky as spinning as a plate on a stick, the perception remains the same. Since elevation is represented by the Letter T, we can conceptually place the Letter T as representative of each solstice point. Hence, in this case, the sequence ....S-T....represents a point where the Sun's apparent climbing or falling in the sky as measured at noon zenith appears to "ST-op". We must then solve for the sequence ...OP....". If you break single letters apart from the larger word, wherein through the breaking of a single letter reveals yet another word; e.g. F-LAG, wherein F is broken off and the word LAG remains, you may begin to comprehend how conceptuals have been designed into the Alphabet. In this case, you would ask "What is the F?" and "What is the 'lag'?"